Joe’s life began on April 11, 1935 in Marshall, OK. He is the son of Frank and Evelyn (Metz) Day. Joe was a 1953 graduate of Perry High School in Perry, Oklahoma. He served his country in the United States Army in the late 1950’s. Joe was united in marriage to the former Julie (Rockhill) Doerflinger on March 4, 1988 in Wichita. He was a cattle broker in the area and a familiar face at area sale barns. Joe had been active in the Kansas Livestock Association and was a 4-H beef leader for the Hickory Helpers when his family was growing up. He was an avid Kansas State Fan and season ticket holder and a Butler County Community College Athletic Booster. Joe served on the Bluestem Schools Board of Education and enjoyed a round of golf and his men’s league. His greatest joy was his family, which includes his wife Julie Day of El Dorado, children Scott (Teresa) Day of Ozawkie, KS, Robin Day of Wichita, Sean Doerflinger of Houston, TX and Missy (Tom) Storrer of El Dorado; nine grandchildren; five great grandchildren and his sister Kathy Spillman of Tulsa. 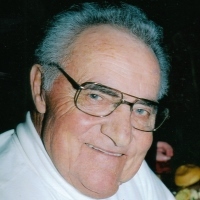 Joe passed away on March 17, 2019 at Wesley Hospital in Wichita. He is preceded in death by his parents, brother Dwight Day and sister Lila Busse. A celebration of life for Joe will be held on Saturday March 23rd at 1 p.m. at the El Dorado Livestock Auction led by Pastor Larry Womack. He will be laid to rest in Greenwood Cemetery, Eureka at a later date. Memorial contributions in Joe’s name may be directed to the Kansas Livestock Association. Carlson Colonial Funeral Home is serving the family. Please sign his online guestbook and leave a memory of Joe at www.carlsoncolonial.com.